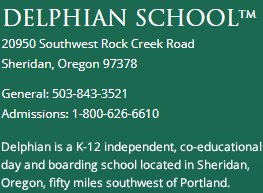 Videos, photos, news and all things Delphian. 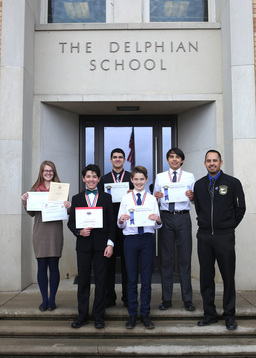 Delphian Students - Fighting to Eradicate Human Trafficking - Youth Help to Change the Law to Protect Future Generations. 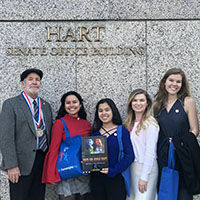 This past year, Delphian students participating in our Youth for Human Rights club, here on campus, travelled to Washington DC where they worked alongside the Youth For Human Rights organization to help with passing a bill that will help eradicate human trafficking. Read more about Delphian Students - Fighting to Eradicate Human Trafficking - Youth Help to Change the Law to Protect Future Generations. Form 6 and 7 students are required to do an internship while on their programs. 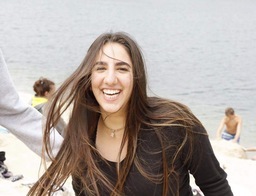 Roni opens up about her experience as a Summer at Delphi intern this past summer.